A funny way to practice prepositions. 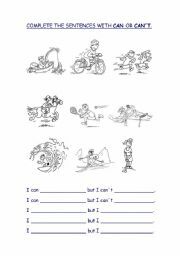 A worksheet to practice the basic use of can and can´t. A simple reading comprehension to revise the past simple. 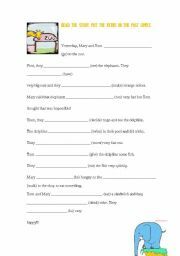 A WORKSHEET TO REVISE DIFFERENT VERBS IN THE SIMPLE PAST. 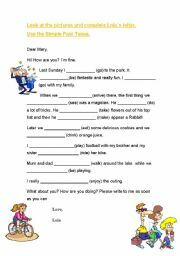 Students enjoy this kind of worksheet. I hope you find it useful. 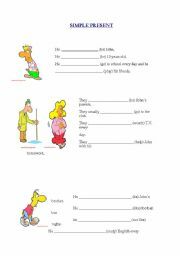 A good way to practice the present simple tense with your students. 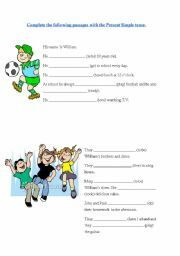 A basic worksheet to revise adverbs of manner. 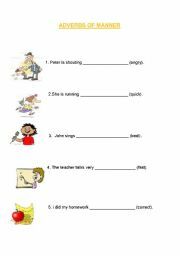 A Worksheet to revise the days of the week. 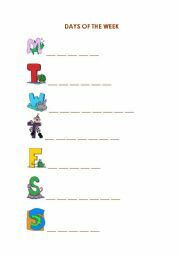 Hope you find it useful !! 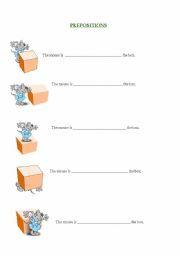 A story to revise verbs in the Past simple. Hope you find it useful. 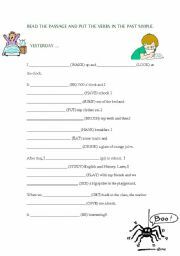 A worksheet to revise verbs in the simple past.